Blue Lug customer build: A tricked out asphalt black Affinity Metro. Blue Lug does no wrong... check this beauty. Bike check: A custom Kissena courtesy of Blue Lug. 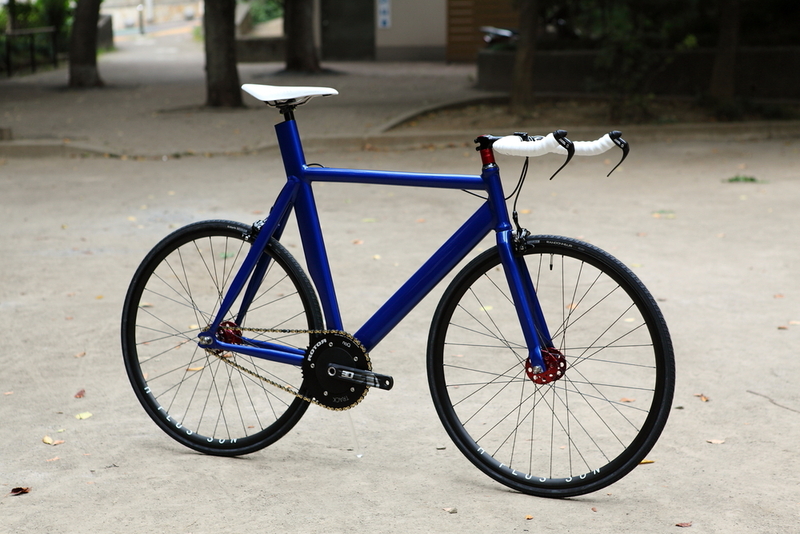 What can I say but Blue Lug makes the sickest custom bicycles. Check out this epic Kissena custom. Head over to Blue Lug's Flickr page for the entire picture set. Blue Lug's super clean Affinity Metro build. Loving the internal cable routing! When Blue Lug ordered their last round of frames we switched over to internal cable routing. Why? In Japan, if you're riding a track bike on the streets you need a front and rear brake by law. The results are some pretty wicked Affinity street machines. We loved the look so much that we decided to make the Affinity Metro with internal cable routing. Thank you Blue Lug!